Personal business card I created in my portfolio review class. I created a monogram of my name to use as both a logo and a pattern. 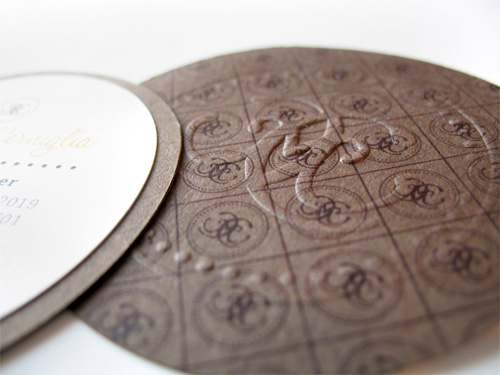 On one side of the card the pattern was printed on brown paper and then the monogram embossed. A smaller circle with my contact information was then adhered to the backside of the brown circle.